Commitment. Marriage. Honeymoon. Divorce. Conversations about single-supplier legal advisory mandates are rife with relationship-strewn analogies. While no two arrangements are the same, most begin with a commitment from a company and its in-house legal team to reduce external legal spend and get a better handle on its multitude of legal connections. 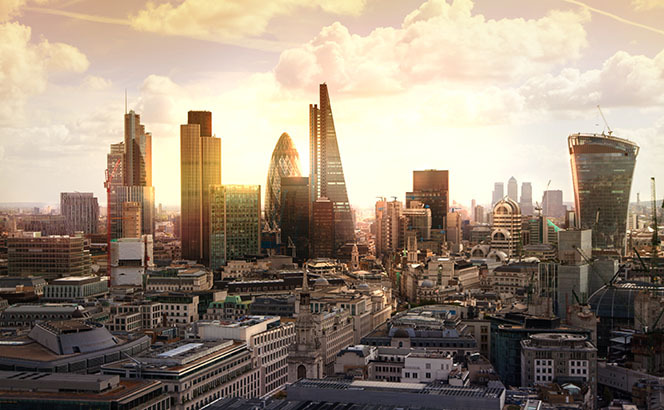 City recruitment picked up after a lull last week as Dentons strengthened its bench in London at the hand of Eversheds Sutherland, which saw moves both ways. Dentons announced the hire of Howard Barrie, who re-joins the firm after several years at Eversheds Sutherland. Barrie had previously spent 19 years with Dentons in his first stint at the firm, and returns to its finance practice. Coming the other way, Eversheds made an addition to its City real estate practice in the form of Morgan Lewis & Bockius partner Paul Beausang. He was previously London head of tax at K&L Gates, and specialises in real estate tax structuring and transactional execution. Also in London, Hogan Lovells announced the hire of Jennifer O’Connell as finance partner to its London international debt capital markets practice. Jennifer returns to the firm from an in-house role at CACIB, the corporate and investment banking arm of the Crédit Agricole Group. International recruitment continued apace last week, with CMS hiring Michał Mężykowski in Poland from Dentons. Mężykowski will join the firm’s banking and finance practice, bringing experience advising financial institutions with a particular focus on the real estate market. 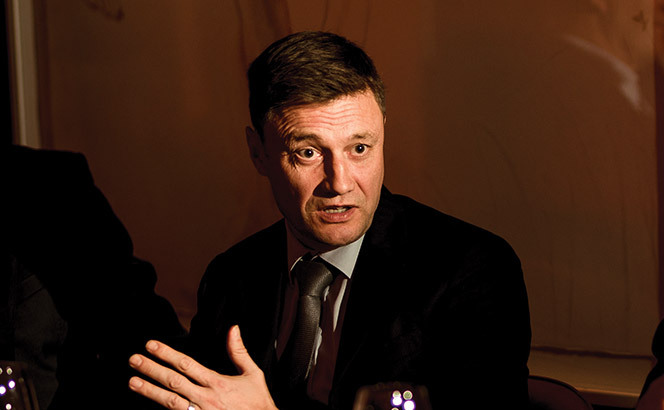 Mężykowski had been a partner at Dentons for eight years. Across the Atlantic, Kennedys bolstered its New York office with the hire of Mark Dessi from US firm Skarzynski Black. Dessi had previously been at Sharzynski Black since 2014, and has experience representing insurers in negotiating and litigating first and third party insurance claims. Further afield, Stephenson Harwood announced the hire of Kevin Lee to its global private wealth practice. Lee will join the firm’s Hong Kong office from Zhong Lun Law Firm, where he had been since 2015. In South America, Mayer Brown announced the hire of Raúl Fernández-Briseño, who joins the firm as partner in Mexico City. Fernández joins from American firm White & Case, and has experience in transactional matters and financing, particularly in the aviation and private equity industries. In its first full financial year since its transatlantic merger, Eversheds Sutherland (International) has recorded a robust increase in both revenue and profit per equity partner (PEP). In revenue terms – which apply to the legacy Eversheds portion of the business – the firm saw a 13% increase from £438.6m to £494.6m. PEP, meanwhile, grew by a similar margin of 12% from £726,000 to £812,000 – the highest-ever PEP figure achieved by the firm. 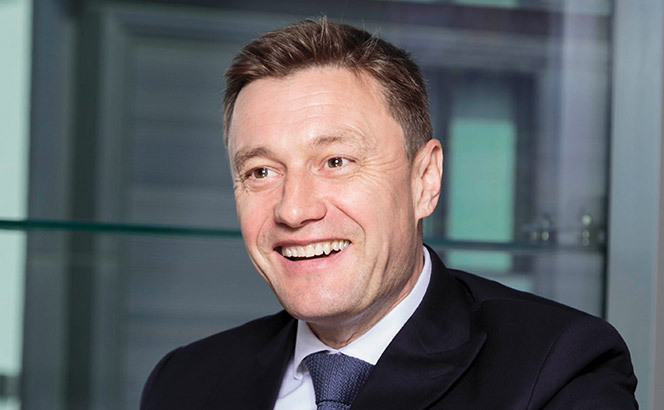 Chief executive Lee Ranson (pictured) conceded that the positive results owed significantly to the knock-on effect of the firm’s recent international expansion, which includes the February 2017 tie-up with US outfit Sutherland Asbill & Brennan, but also asserted there had been ‘organic growth’. Due to the merger or not, the results will be welcome after last year’s lacklustre performance, where the firm’s net profit and PEP dipped by 4% and 2% respectively as the firm shouldered the costs of the union. In February, on the one year anniversary of the US combination, Eversheds Sutherland unveiled combined global revenues as just under $1bn – a 5% increase on the year before. The international results cap off a particularly expansive financial year for the firm, opening offices and forging alliances in Singapore, Dusseldorf, Moscow, St Petersburg, Amsterdam and Rotterdam. 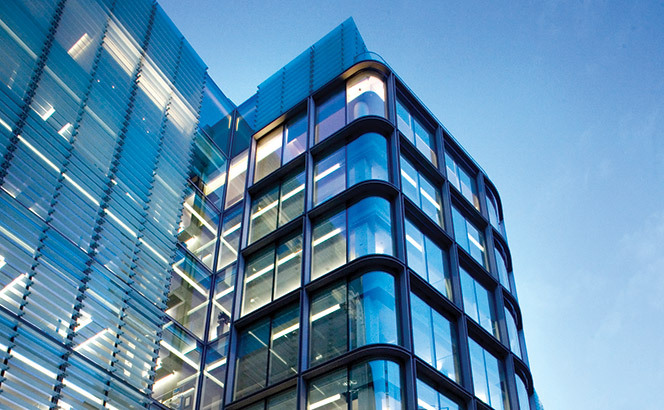 While revenues are rising, Eversheds revealed a flat partnership promotion round last month. The firm made up 20 partners globally, the same figure as last year. The results also come as the firm expands its tax practice in London, this week hiring Paul Beausang from Morgan Lewis. Beausang, who will fill the role of head of real estate tax, previously served in a similar position at K&L Gates. The use of third-party funding (TPF) has been a hotly debated topic in the international dispute resolution community for some time, with all signs pointing to its continued growth. The funding market appears to be on a constant expansion trajectory, with the number and geographic diversity of funders increasing, and new funders continuing to enter the market. A £100m claim brought against Eversheds Sutherland by Northern Rock Asset Management (NRAM) has been settled. NRAM’s claim, which came to light in late 2016, alleged professional negligence in relation to advice the legacy Eversheds firm provided following a review of two annual statements for a ‘together loan’ – a combination of a secured mortgage and an unsecured loan at a single interest rate with one combined monthly payment. The £100m claim was understood to have first been made in 2014, although progress in the early years had been slow. Eversheds and NRAM have now agreed a resolution, however, before the matter reached court. An Eversheds spokesperson said: ‘The resolution was agreed at a mediation on 6 February 2018 and the terms are confidential.’ An NRAM spokesperson confirmed the resolution. NRAM had claimed the annual statements Eversheds advised on in 2010 ‘did not comply with the requirements of the Consumer Credit Act’ and the advice failed to be provided within a ‘reasonable time’. It also alleged the advice meant the loans were not enforceable and NRAM became liable to repay or refund all charges and interest it had charged to borrowers. Eversheds denied the claim and in 2016 said it was being ‘vigorously defended’. The one-upmanship and tactical disclosures from law firms are gradually revealing more about entrenched gender pay gaps. Next up, Eversheds Sutherland has reported that its female equity partners are paid 10% more on average, while top 50 UK firm HFW has provided breakdowns for its entire workforce. Eversheds’ report, published today (28 March), reveals its statutory pay gap for employees is 23% on average, rising to 25% on a median basis. The bonus difference is 43% on average, dropping to 31% median. But the firm also disclosed partner pay figures, as others including Clifford Chance (CC), Pinsent Masons and Norton Rose Fulbright have recently done. These figures show Eversheds’ female equity partners earn 10% more on average, and 8% more on a median basis. The fixed share partner pay difference is 4% more for males on average, and 6% for the median, however. The firm’s partnership is currently 27% female. Earlier this week, Pinsents senior partner Richard Foley called for changes to the gender pay reporting regime ahead of next year, saying there was a perception hardening that lawyers and accountants are trying to duck the issue by not publishing their partner numbers. CC, meanwhile, reported its overall pay disparity which included total partner earnings, including any bonuses or profit share entitlements, revealing a 66% pay gap on a mean basis and 44% on a median basis. Also publishing breakdowns today was HFW, which cited no differential in average hourly pay for its fee-earners, while its female associates are paid 5% more on average than males. The firm noted, however, that the outwardly strong numbers on female associates were in part a result of having a concentration of highly-paid associates beneath a male-dominated partnership. The energy and shipping specialist’s statutory pay gap (meaning all staff, not including partners) sees men paid 17% more on an average basis, rising to 31% for the median. Its bonus gap is 41% more for males on average, and 54% on a median basis. Male partners at the firm earn 9% more on average, while the median gap is 28%. 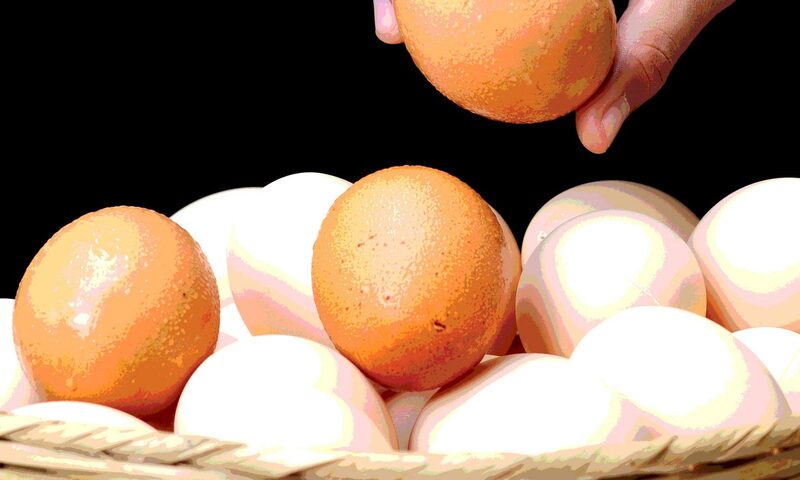 The flurry of disclosures have been met with an increasing recognition of the difficulty of establishing benchmarks that are both meaningful and provide realistic like-for-like comparisons. Growing numbers are calling for the industry to come together to agree some common approaches. It would certainly help the ranks of innumerate legal hacks. 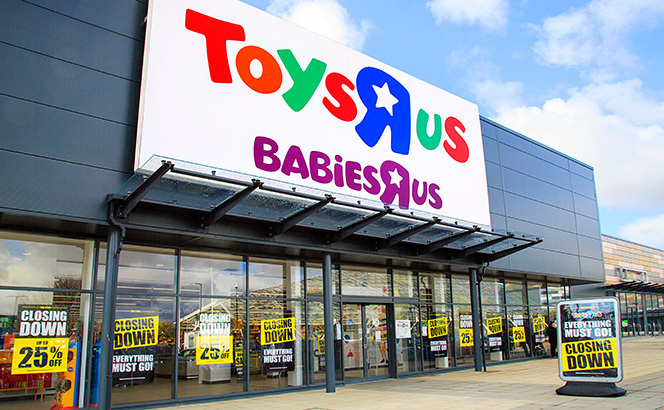 In a worrying trend for high-street retailers, Toys R Us and Maplin have announced their UK domestic businesses are going into administration, allowing Kirkland & Ellis and Eversheds Sutherland to land key insolvency roles. Kirkland was led by restructuring partners Kon Asimacopoulos and Elaine Nolan, as the firm was called in to advise Moorfield as administrator on Toys R Us, while Eversheds Sutherland was led by David Gray advising PwC on the Maplin collapse. Newcomers to London quickly learn the rules of the escalator: stand still on the right or keep moving on the left. The risk with changing your mind is you can land flat on your face. 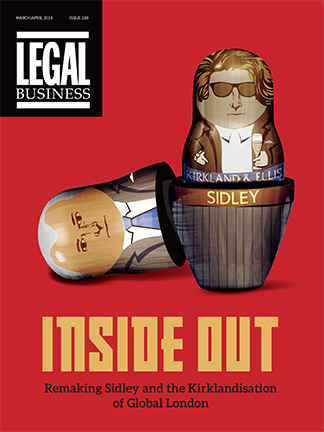 For Eversheds Sutherland, the consensus view is that its corporate team has stood on the right for years, moving along but hardly dashing. And why not? You still get where you are going. Mergermarket statistics show the practice is busy, but reflect a mid-market machine rather than M&A thoroughbred. In 2017, Eversheds is in the top ten for announced European deals, advising on 185 ranked mandates, against 155 in 2016. However, the combined deal value at just $5.83bn compares unfavourably to competitors DLA Piper, CMS and Baker McKenzie. Recent highlights include: at the end of 2016 advising National Grid, alongside Linklaters, on the £13.8bn sale of a major part of its UK gas distribution business; advising Charter Court Financial Services on its £550m listing on the London Stock Exchange; and acting for Capita on the £888m sale of its asset services arm. Is the firm again committed to the City deal market after years of tilting toward regionalism and cost control? Work in the energy, infrastructure and industrial sectors is particularly strong, including acting for BlackRock and Green Investment Group on the £423m acquisition of wind farm operations from Centrica and EIG Global Energy Partners. It also advised the US-based Chemtura Corporation on the German aspects of its €2.4bn takeover by LANXESS and more recently Royal Dutch Shell on its First Utility bid. All respectable stuff, but you can see why critics maintain its deal team suffers from Eversheds’ generalism and lack of pronounced industry focus. The firm is cagey about breaking down financials by practice group, but says the corporate team has averaged 10% growth in the UK over the last three years. The team in London has 18 partners, with Moulton wanting to broaden its City bench in capital markets and public M&A. It has made four hires in the past 18 months, though only one in London, with Karim Mahmud from Jones Day, as well as six internal promotions across the UK. The firm has some credible operators, with Robin Johnson often cited as its top M&A name, while Rob Pitcher is similarly well established. Younger names to watch include Chris Halliday, while Nottingham-based Jon Cox-Brown is also well regarded. We’ll see. Eversheds has sung this tune before and its business model can get by fine with just functional plc coverage. But if Eversheds is truly ever to leap to that left-hand fast track, it is surely now or never. Insolvency professionals have long been predicting a wave of trouble would hit the beleaguered UK high street and it has come to pass with Kirkland & Ellis and Eversheds Sutherland securing lead roles on the collapses this week of Toys R Us and Maplin. 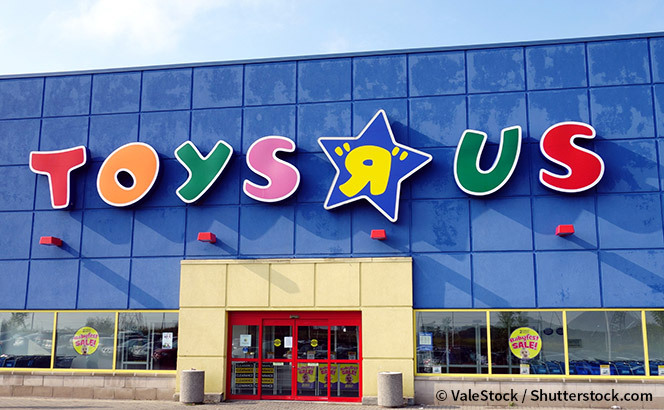 Toys R Us announced today (28 February) that its domestic business was going into administration following a failed attempts to secure a new buyer for the UK’s largest toy retailer after sluggish trading hit the industry over the 2017 festive season. Kirkland also acted for Toys R Us on the Chapter 11 filing for bankruptcy of its US business in September 2017, as well as a deal with the Pension Protection Fund (PPF) that temporarily saved the company from collapse in December 2017. Kirkland restructuring partners Kon Asimacopoulos and Elaine Nolan are advising Moorfields’ joint administrators Simon Thomas and Arron Kendall. Meanwhile, Eversheds’ team, led by Manchester restructuring partner David Gray, is advising Maplin’s joint administrators at PwC, which is fielding a team under partner Zelf Hussain. Eversheds in 2014 advised Maplin on the consumer electronics retailer’s £85m sale to investment house Rutland Partners. Taylor Wessing is now advising Rutland, a long-standing client which it acted for in a number of deals last year, including the sale of Brandon Hire, the acquisition of Armitage Pet Care and an investment in Omar Group. Maplin has annual turnover of £235.8m and employs 2,335 people across 217 stores in the UK and Ireland. Toys R Us, meanwhile, has 105 stores and employs 3,000 people in the UK.